Christmas, Hanukkah, New Year, and all the other winter holidays are times of tradition, when we continue to celebrate in the manner of years past. But some modern situations call for decisions that tradition doesn’t cover. That’s why we have flowcharts! Here are some that pertain to the unique conundrums that arise this time of year. Will you be spending Christmas with your parents or your in-laws? This is a decision you should make with your significant other, but it doesn't have to turn into a tug-of-war. Just produce this flowchart from She Knows to bolster your reasons for visiting the family with the least drama. The holidays would certainly be less stressful if we were to do away with the tradition of buying gifts for adults (other than maybe homemade food or a nice box of candy). But social obligations live on. Still, you don’t have to buy everyone a gift, especially when you're on a limited budget. Read the rest of this flowchart from College Humor, which will help you make your decision. 3. SHOULD YOU GET A GIFT FOR SOMEONE YOU ARE SEEING? That may be a simple question, but the answer might be quite complicated. A flowchart from The Date Report can help you to consider how far along the relationship is and whether a Christmas gift would be proper at this time or not. Major retailers often release flowcharts to help you decide what to give people for Christmas, which all end in gifts they sell. This one, targeted to men, is from the Milwaukee Brewers. The entire chart is huge. The flowchart is complicated, but no matter who you're shopping for, the perfect gift is a Holiday 4-Pack. I would have at least suggested splurging on a whole 6-pack. 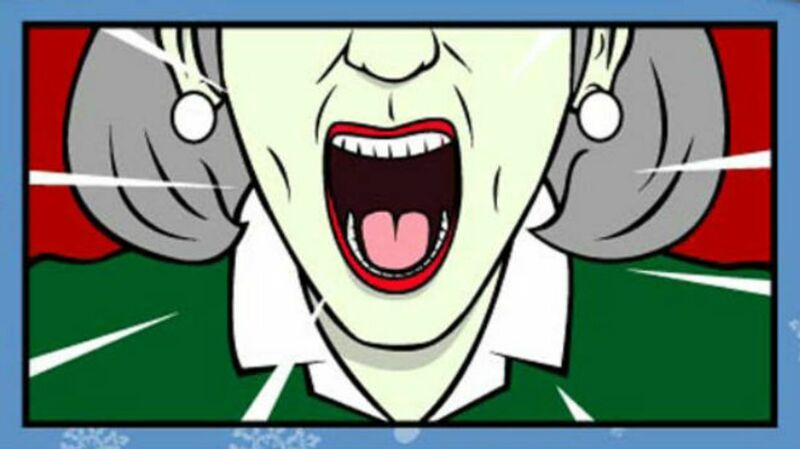 Most of the time, your phone is attached to your hand—but when you're with the family for holiday togetherness, you're sure to get a few snarky comments from relatives if you're using it all the time. Still, there are some situations that make phone use appropriate, so Shane Snow created a flowchart to help you navigate each possible scenario. You should have your Christmas lights up by now. Why don’t you? Are they not working? Are you putting off the annual testing regimen? Terry Ritter put up an entire website to help you troubleshoot Christmas lights 10 years ago. His flowcharts will take you through the process of testing your lights before you hang them. Or you can simplify things by simply plugging them in and throwing away the strings that don’t work. There are an awful lot of classic Christmas movies—some you may have even forgotten about. There’s one to fit your interests for every situation and every mood. You can determine which movie fits yours with this handy chart from College Humor. See the rest of the chart to select your movie. 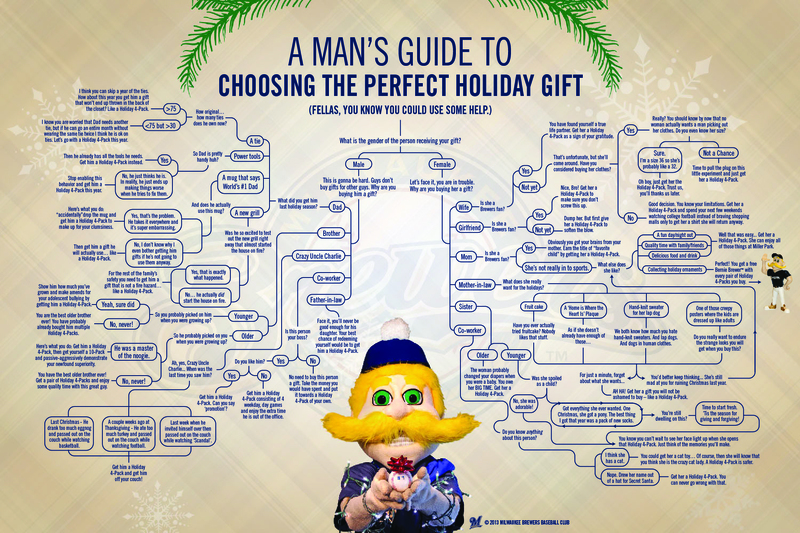 Let's wrap up Christmas with a flowchart that’s been around forever, but is still enjoyable. After all, who wants to miss a step that may lead to seeing a jolly old elf, so you can laugh when you see him in spite of yourself? If you have trouble reading it, see a larger version here.